With the outgoing SRX being Cadillac’s best-selling model, our expectations were high for the incoming XT5. Cadillac has made itself clear that it wants to be “one of the boys” in the luxury car segment and the XT5. With a class standard amount of features, the sticker reaches the mid 50,000 dollar range. We don’t think it does anything better than most of the SUVs in that range. It’s only redeeming value lies in an impressive amount of standard technology and eye-catching design. Since aesthetic appeal is largely a matter of taste, it’s up to you to decide whether this Cadillac is worthy of your money despite its shortcomings. The appeal of the Cadillac XT5 lies in its unique design. Most buyers are drawn to the bold, futuristic design and plush interior. Beyond these traits, the XT5 does not provide a lot of value for the dollar, considering several brands have strong offerings that are priced accordingly. We like the direction Cadillac is headed but they fail to compete with Audi or BMW on the performance front. Some may prefer the over-the-top interior in the Cadillac to more utilitarian cabins in BMWs and Acuras. However, ride comfort and handling are not on par with the competition. The XT5 is a solid choice for the consumer more concerned with standing out than receiving their money’s worth. Cadillac makes no secret about coming after German competitors Audi, BMW, and Mercedes-Benz. They’ve done an excellent job with their sedans, yet somehow their driving dynamics haven’t translated to their SUV lineup. Like the Escalade, the ride is neither cush nor taut. They made compromises in suspension and handling between performance and pleasure to wind up with neither. That said, it is a decent performer in a straight line with a 0-60 mph in the mid sixes, more or less the class average. The naturally aspirated 3.6 liter V6 produces 310 hp @ 6,600 rpm and 271 lb-ft of torque @ 5,000 rpm and is paired with a paddle-shiftable 8 speed automatic. Power delivery could be smoother and more logical, many reviewers complain of a reluctance to downshift as well as abrupt downshifts when braking. Many buyers will probably buy this SUV because of its bold style and luxurious interior, though it’s worth noting there are higher performing alternatives at this price point like the Audi SQ5 or Q7. The cabin of the XT5 is this SUV’s strongpoint. Climb inside and you and your passengers will be pleasantly isolated from the outside world. The interior is quiet and comfortable with leatherette or leather everywhere you look, though there are some hard plastic finishing materials below knee level. Front seats have generous adjustability including thigh support. The rear seats slide and recline, an option unavailable on the larger Escalade. Passenger headroom and legroom are great but cargo capacity is on the low end of the segment at 63 cubic feet with rear seats down and 30 cubic feet with them up. The XT5 looks completely different from the SRX it replaces. We think that’s a good thing. The new design language found across Cadillac’s models is present in the XT5. With its vertical headlamps and oversized grille, there will be no doubts about Cadillac paternity. The lines are modern and clean, giving a bold, futuristic overall impression. 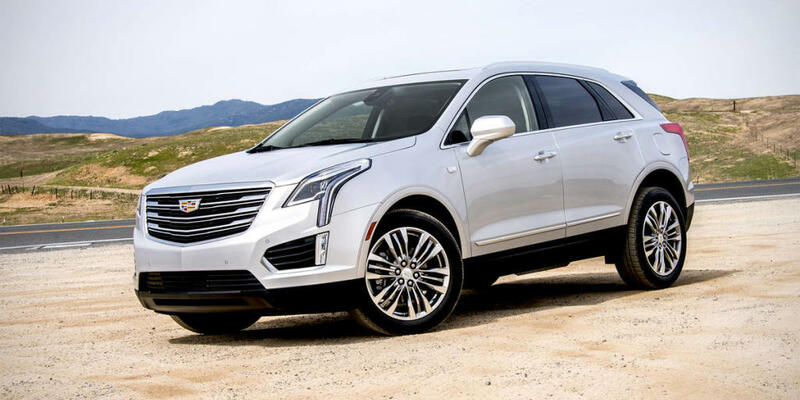 Unlike some other Cadillac models, the XT5 is distinguishable from lesser GM models that share its platform. The GMC Acadia shares many of its components yet appears dissimilar. That’s refreshing in an industry rampant with rebadging. If you’re going to spend a lot on a premium brand, it should look the part. JD Power gives the XT5 a 3.5 out of 5 rating, suggesting an above average reliability rating. Consumer Reports offers a 3 out of 5 reliability rating, revealing an average predicted reliability rating. There is a NHTSA recall that affects 1,844 units. There may be a brake fluid leak that reduces brake performance. GM dealers will replace the brakes, if necessary free of charge. The Cadillac has filed a staggering 72 technical service bulletins for the XT5, indicating several known problems. As a result, we can’t recommend the XT5 as a reliable luxury crossover SUV. The Insurance Institute for Highway Safety rates the XT5 as a top safety pick, granting top marks in every category of crash testing. The National Highway Traffic Safety Administration bestows a 5-star overall rating, with 4-star frontal crash and rollover ratings. The XT5 is equipped with ample standard safety features like curtain airbags, rear body airbags, driver knee airbag, and Onstar automatic crash notification that will automatically call emergency services in the unfortunate event of a collision. Higher trim levels add an abundance of driver assistance features that will mitigate the risk of collision including lane departure warning, park distance sensors, forward collision warning, and a vibrating driver seat that warns the driver of potential dangers. We think these are all great features that should be standard in a vehicle of this price. The XT5 is as safe as other vehicles in its class. The XT5 straddles a wide price range with the base model costing roughly $40,000 and an optioned Platinum model totaling around $70,000 dollars. As a result, the XT5 attracts a broad range of well-equipped competition. On the lower end of the scale, we think the Acura MDX is a strongly equipped, attractive rival. Its exterior and interior design lack the bold and luxurious form of the Cadillac but make up for it in function. Few luxury midsize SUVs are as well rounded and practical as the MDX. There is no in your face opulence, everything is designed with purpose. It shows. The MDX has superior straight line performance with a 0-60 mph time of 6 seconds even. 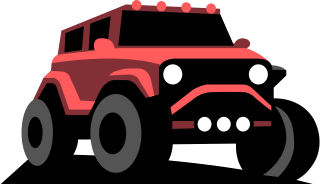 The standard SH-AWD (Super Handling All Wheel Drive) provides handling characteristics of a much smaller SUV, though it lacks some of the road feel of German competitors. The interior allows for two more passengers to be seated and cargo capacity that surpasses the XT5 with the third row down at 38.4 cubic feet and 68.4 with both rear rows folded. The Acura includes Acurawatch safety suite standard which features many of the costlier driver assistance features in the Cadillac. Apple Carplay and Android Auto aren’t available in the Acura which we understand may be a dealbreaker for some, it is 2017. On the lower trim levels, we’d recommend the Acura MDX over the XT5 as a more practical choice. If your priority is luxury, you may be willing to sacrifice performance for the Caddy’s bold look. At the opposite end of the price range, prospective buyers should definitely consider the Audi SQ5. The SQ5 is one of our favorite all around SUVs, it somehow finds a way to strike a balance between luxurious refinement and inspired athleticism. A 5 second zero to sixty time makes it a segment leader. The ride quality will be similar, the stiffer suspension transmits bumps and cracks, but the handling is far better than the XT5, dare we say sedan-like. The interior is also one of our favorites with supportive sport seats and a sleek, modern infotainment system that has easy to use controls. However, there is not even a USB port, let alone Apple Carplay or Android Auto. Technology is a welcome distraction behind the uninspiring XT5 that is largely unnecessary while grasping the flat bottomed sport wheel of the SQ5. If you’re the type of driver who looks forward to getting behind the wheel, the SQ5 will not disappoint. If you care less about how the SUV drives and can’t live without Apple Carplay and 4G LTE wifi, the XT5 may be right for you. The base XT5 has a starting price of $40,390 and arrives well equipped with keyless entry, rear view camera, park assist, Apple Carplay, Android Auto, 4G LTE hotspot, and a power liftgate. Upgrade to the Luxury trim for $5,900 more and receive real heated leather seats, rear cross-traffic alert, heated steering wheel, upgraded wheels, power glass sunroof, Rainsense wipers, upgraded mirrors, lumbar support, blind spot monitoring, and opens the availability of several more options. The $3,450 dollar “sport package” doesn’t make the XT5 sportier at all, rather adds a power step, 20in wheels, and a sleeker grille. The Premium Luxury trim begins at $53,290 and includes automatic front braking, an upgraded suspension with adjustable settings, upgraded 20in wheels, illuminated door handles, driver awareness package, cornering lamps, intelliBeam headlamps, LED headlamps, Bose 14 speaker sound system, Navigation, driver awareness package, following distance indicator, front pedestrian detection, lane departure warning, ventilated front seats, and availability of more options. Lastly, the Platinum trim costs a jaw-dropping $63,890 to start. It comes loaded with options like 20in fully polished wheels, advanced security package, upgraded grille, locking wheel lugs, hands-free power liftgate, 8in digital gauge cluster, head-up display, rear camera mirror, surround camera, and availability of yet more features. The base model is only available with front-wheel-drive, while all-wheel-drive is an outrageous $8,400 dollar option in the Luxury and Premium Luxury trim levels. For comparison, it costs $2,000 dollars to equip a BMW X3 with all-wheel-drive.